Aircall empowers Sales & Support teams to ace every call with a phone system specifically built for their favorite business tools. 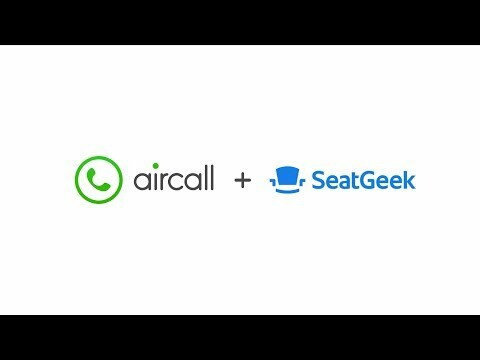 Aircall allows businesses to natively integrate with major CRMs and helpdesks in one click. With screen pop capabilities you’ll have your customer information and call context in front of you when receiving calls. After a call, all the information gets automatically stored in the CRM and helpdesk of your choice. Easily add and remove users depending on your needs. Automatically and efficiently route calls according to IVR selection, 🤓 agent skills, time zone and etc. Receive advanced 📡 call center analytics on agent and team productivity. Monitor your team’s activity in real-time on the ⚡ live feedand cross-reference your data with your CRM and Helpdesk for a richer understanding of your processes.